It has been an interesting weekend. I’ve been without a computer since Thursday, so I haven’t posted for awhile. My hubby was able to repair it over the weekend and I am one happy camper to have my computer up and running again. The down time gave me a chance to clean my computer desk which really needed it, and I found a couple of watercolor tubes that have been missing for awhile. This weekend I found two Mayan masks at a local thrift shop while we were thrifting on Saturday. I was hoping to find a jaguar statue, but there were none to be found. For the Maya the jaguar was a powerful symbol of authority, as well as an integral part of their religion and mythology. The Maya revered jaguars and often gave their Gods jaguar attributes. They believed the jaguar had the ability to cross between worlds and for them daytime and nighttime represented two worlds. 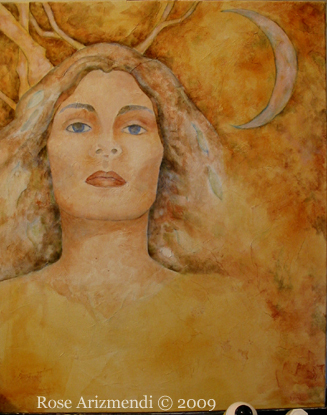 The daytime was associated with the living and the mother earth, and the nighttime was associated with the spirit world and the ancestors. 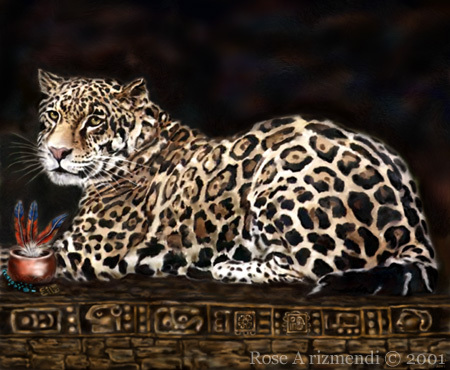 It has also been said that shamans regard the jaguar as a spirit companion or guardian which protects the shaman from evil spirits while they move between the earth and spirit realm. As with so many other cultures, the Maya have a vast and rich history of folklore and mythology. I’ve been working on this painting for a week or so and it’s almost done. The woman here represents a shape-changer, a being which has the power to alter form and bring about great changes in people’s lives. 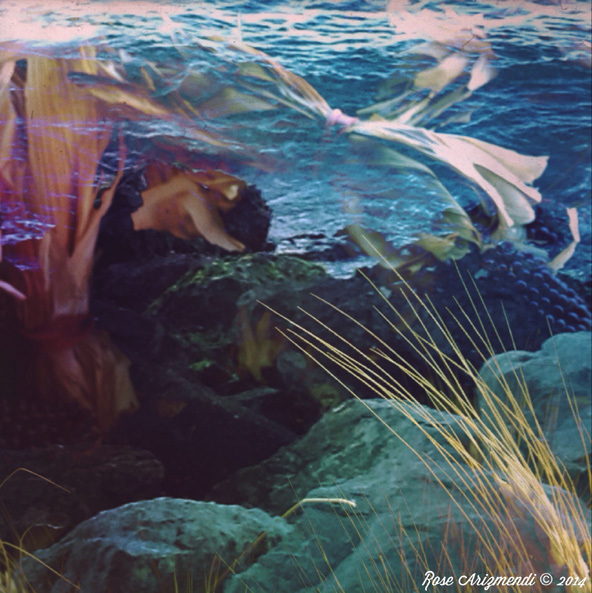 In her human form she enters an ecstatic state in order to travel away from this reality into the invisible realms which are dream like, flowing, fluid worlds, where time ceases to exist. A place where every nuance, thought, and transformation takes place in the blink of an eye. 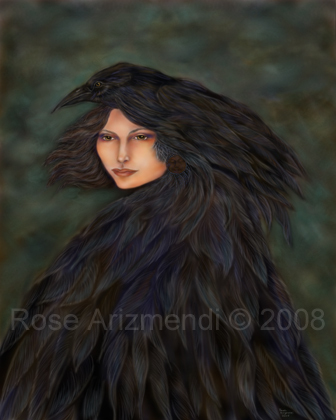 The spirit of the raven watches over her, protecting and guiding her through this place between heaven and earth, teaching her various ways to heal her people, as well as how to see through false forms, lies, and tricks of others. Mostly the raven teaches her how to appreciate the humor in life.